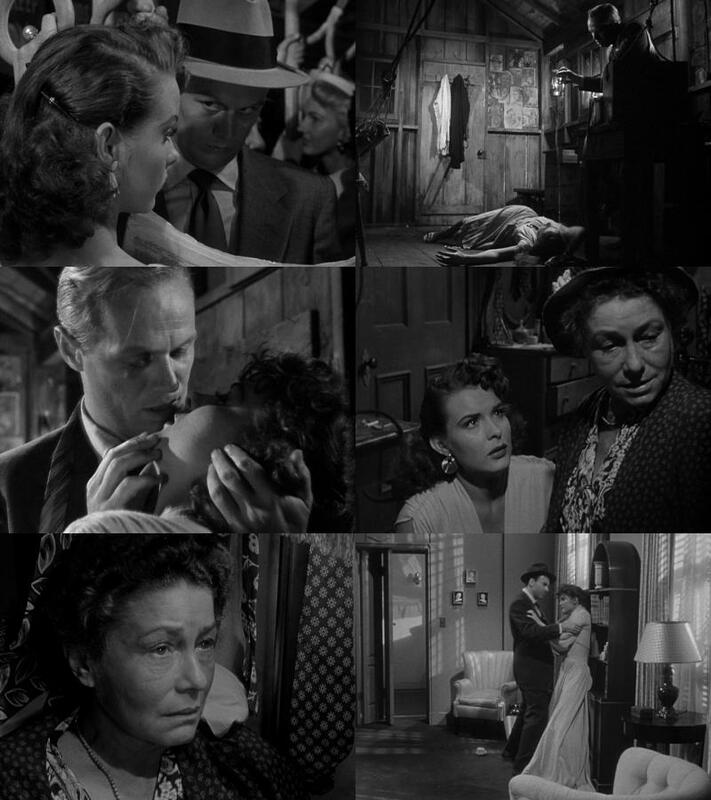 Pickup on South Street (1953), written and directed by Samuel Fuller. Pickpocket Richard Widmark acquires some top secret microfilm on a crowded subway and now everyone wants to meet him: the courier, the Feds, and a Red spy ring. He's really sleazy, but with Crooks vs Commies, do we even have a choice who to root for? Poor Jean Peters gets bashed up and down, all over this picture. First she's the innocent dupe of the commies. When she tries to get her stuff back from Widmark he knocks her cold, wakes her up by pouring beer on her face, romances her, then slaps her around and sends her out for piles of money. And she still falls for him! Then her commie contact beats her up, practically demolishing her apartment, and shoots her. And we still have a Hollywood happy ending! It's a tough story, but a bit spoiled by too much tough talk and snappy patter. Thelma Ritter is fine as a stoolie with a heart who will talk to just about anyone for a price. Except to the commies, which is patriotic but a tactical mistake. Picking a purse has never before seemed as intimate a violation as shown in the first five minutes.